Enter any bowling center in the country and you can anticipate the sights and sounds as you walk through the doors. From the crashing of pins as a powerhouse zeroes in on the headpin to the boisterous laughter, cheers and high-fives that fill the air and echo from friends and competitors alike, some things are and will remain constant in the bowling industry. However, although these nostalgic sights, sounds and feelings will always be an integral part of the bowling industry, change is and has been on the horizon. Gone are the days of growing the business by purely relying on the traditional revenue streams such a leagues, tournaments, and fundraisers. As the marketplace and demographics shift to younger and more selective audiences, true industry leaders have moved to more specialized offerings and enticing entertainment. How to combat this rising tide of new center development, changing consumers and rebranding is a very real challenge most legacy centers will and must face to stay relevant. With the emergence of the “Family Entertainment Center (FEC)” model, attracting play to traditional centers has become more challenging than it has ever been. This coupled with customers’ desire to seek-out more unique dining experiences and social / business organizations on a quest to gather at the latest “hot spot”, leads to a serious dilemma for most of today’s proprietors. During the last ten years or so, the industry has experienced some new and very large competitors in the marketplace who have placed their stake and gained market share. Names like Lucky Strike, Main Event, Bowl New England, Pinstripes and a host of others are putting a “new spin” on the industry. 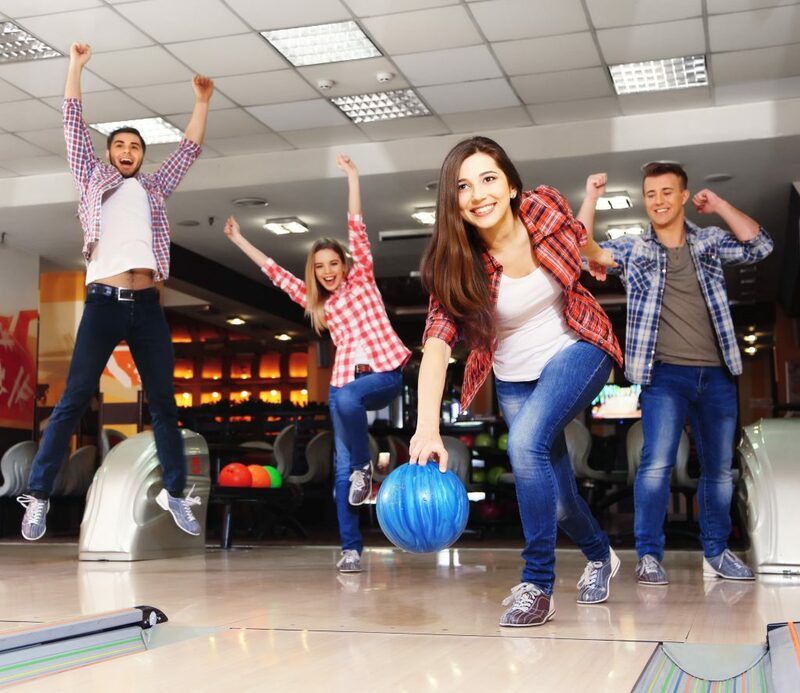 With their creative branding strategies and experienced-based entertainment options, they have attracted a new demographic and driven some bowlers that would have typically spent their weekends in a traditional center, out to seek new experiences with a trendier environment and vibe. So, the question is, how do you stay relevant, re-engage lost customers and attract new business all while keeping league-based bowling as a primary channel? The answer is not easy. However, industry statistics prove this evolution is and should be a necessary focus. Overall, the industry has seen an upswing in people heading out to bowl. In 2008, 41.4 million people were rolling on lanes across America. Jump ahead to 2017, and over 48 million (www.statista.com) are lacing up bowling shoes. And the industry isn’t slowing down. If you combine traditional with Open Play/Attraction-based locations, the growth is even greater. It’s also notable to point out that centers who’ve taken the plunge to offer more “open-play” and multiple attraction centric models are raking in more revenue than traditional “league-style” centers. According to a study conducted by the BPAA, centers with traditional “league-style” play see an average of $14,887 per lane and centers with a more “open-play” model see averages of $24,421 per lane. Note that these numbers do not include shoe rental increases ($994 per lane Traditional / $3462 Open Play model in the BPAA Study.) When coupled with additional attractions, this can lead to even further bottom-line gains. With new centers on the rise and others converting to add attractions and incremental revenue streams, centers stuck in their traditional ways are on the decline (1998: 5400 / 2013: 3976 according to an article published by USA Today). It is clear, a more entertainment focused experience has emerged attracting a new breed of customers. According to the BPAA study, traditional centers derive 63% of their overall income from bowling alone and the FEC model is now capturing 35% in bowling-based revenues, with a larger portion of sales coming from expanded food and beverage programs, arcades, laser tag and emerging VR experiences. On average, league-based revenues in a re-branded or remodeled center are now only accounting for 10-15% of the overall sales. Making the decision to transition a traditional center is never an easy one, but as league base drops and lineage remains stagnant, something needs to shift to make up for lost revenue. Consumers are demanding change and a new experience. Those proprietors who have made this successful transition have already reported a major upswing in the business model as well as more to the bottom line. Changing lanes is never easy, but by making the right entertainment choices today will allow you to be here tomorrow and for generations to come.